A Small Curation on Small Scale Manufacturing Business Ideas. The big industries in the world are mostly relying upon these small scale manufacturing business people for the continuous supply of raw materials necessary for their production. 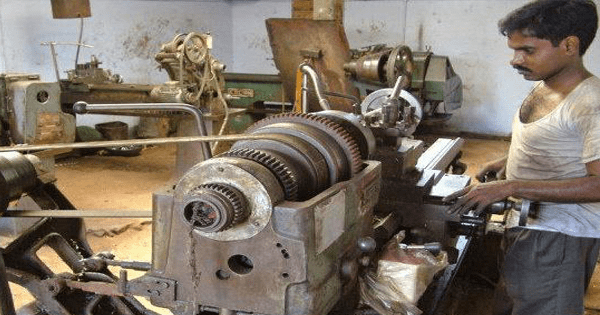 These small businesses confirm the constant supply of equipment, tools, raw materials that are required for the proper function of those large manufacturers. Today most large business was once just a small startup and with constant effort and proper business plan, they have grown to a large extent. Starting a small scale business is pretty simple and it requires only a small capital to start, which involves purchasing the required machinery and raw materials from the market. Small scale industries play a significant role in the country’s growing economy by creating more new employment opportunities for people. 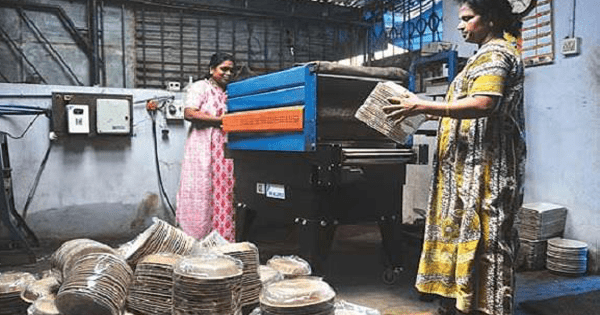 Here in this article, let me show you the different start up small scale manufacturing businesses in India, which is considered as the most profitable ones. The object of writing this article is to create a small awareness about the various opportunities that lie before us. Many new entrepreneurs are seriously looking for a business opportunity but they are not having enough idea to begin. Starting many small scale industries not only help to grow a country’s economy but it also increases the number of employees. There are many advantages to starting these kinds of home based businesses. The individual or the owner may become financially strong. Proper tax payments by these entrepreneurs help to build a strong nation. The surrounding society will get a chance to grow. Papers are widely used in all places such as Schools, Colleges, Small Companies, and Industries. Hence planning to start a small home-based paper making business is a very good startup business idea. Since papers are used everywhere, there is always a high demand for this business. All you need is to find a place to install your papermaking machines to manufacture paper. Most widely used sizes are A2, A3, A4 and if you started to manufacture papers in these sizes, then you will get a chance of good volume of businesses. This business requires a small capital investment such as a maximum of Rs. 2 Lakhs for the purchase of paper-making machines and raw materials. It is a very low-cost small scale manufacturing business ideas and this business can be easily started from home. There is a good market potential for hair oil because of growing awareness about naturally prepared oils among the people. You can easily start this business from home if you have a small vacant land of 1 cent or less. You can sell 1Kg of hair oil for a maximum price of Rs. 250 INR in your local market. Dried coconut is the essential raw material for manufacturing hair oil which you can easily get from the farmers in your area. Prepare a lease agreement and hire a coconut tree farmland for the surplus availability of coconut. Very low capital start-up business with approximate investment around Rs. 50,000 to Rs. 1Lac. This is similar to paper-making as, like paper, envelope covers and folder files are also required by most of the establishments such as Schools, Colleges, Companies, and Industries. They are used to file their documents and this leads to high demand for envelope covers, postcards and folder files etc. There is growing employment opportunities when you start this business from home either hand-made (or) by using machines. You can start with a minimum investment of Rs. 1.5 lakhs to purchase the paper folding pressing machine and other raw materials. Sell these envelopes, folder files to your local supermarkets, departmental stores and other retailers and it’s possible to generate decent revenue. You know that Soaps and Detergent Powders are one of the highly moving FMCG products for every household in your area. So, it is a good idea to consider starting an own soap manufacturing business based at home. Before starting this, get some training by yourself to learn how to manufacture soap and detergent. There are lots of DIY YouTube videos available on the Internet to learn soap making. Learn the process and prepare for your own needs. Slowly increase the volume of your daily production and start selling in your local market. You can either put a stall in your home for the marketing (or) appoint some field executives for selling your product at consumer doorstep. These small scale manufacturing business ideas will surely win because of the growing trend in this arena. On the investment part, you can easily start with just Rs. 50,000 which includes purchasing of raw materials, hand gloves, weighing scale, plastic bags etc. If you are an expert in making biscuits, cookies then there is a good business available where you can make a handsome second income every month. Most of the people in India are showing interest to buy country made biscuits even though there are many foreign made biscuits available in the departmental stores. So, there is a very good chance of reaching a large market if your biscuits taste better and healthier. A small marketing effort will get you a huge volume of business. The essential raw materials are Wheat flour, grinder, mixer and an electric oven for biscuit making process and investment is very much lesser than Rs. 30,000. Do you love chocolates? Even I love chocolates? Children mostly love chocolates. Its yummy taste and flavor make us feel excited to taste it. People are fond of trying newer variants and especially homemade products which are good in taste and healthier even. 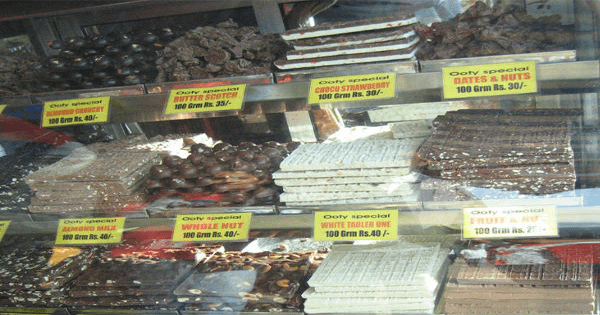 In TamilNadu, when you visit OOTY next time, don’t forget to buy some homemade chocolates and the famous OOTY VARKIE. People living there are mostly involved in manufacturing chocolates and selling them by building a small stall at their home itself. Why don’t you think of starting your own business – homemade chocolates? Put a local stall for marketing or tie up with local bakeries, departmental stores or take party orders as a beginning. This is the best small scale manufacturing business from home and it is most suitable for housewives who are searching for a good business to work during their free time. Candles are widely used in celebrations, functions, parties and special occasions as a decorative item. It is also used to light up your home during power failures. Hence, there is always a demand and starting this business is a good idea. Moreover, you don’t have to put a heavy investment to start because there are already some small manufacturers who need a franchise to grow their existing business. Your duty is just to find them through your daily newspaper classified section (or) on the internet, and tell your interest by making a call to them. 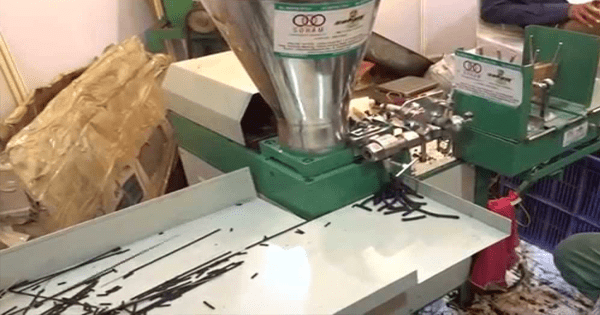 They will install the machine and complete the other necessary setup in your places such as wax molding machine, dye, and other equipment with raw materials. The investment is very less as Rs. 20,000 only. India is an agricultural country and more than two-thirds of our lands is being used for cultivation of crops and other small plants for human consumption. A highly fertilized soil will help grow crops healthier and yield a very high volume of production. Since with the growing awareness of the organic fertilizers, there is always a good business lies behind this scenario. Start a small scale fertilizer manufacturing business from your home using the organic wastes generated from your home and your neighbor houses. Pack the fertilizers in small 1Kg, 2Kg, and 5kg bags and sell in your local markets (or) directly to the farmers (or) sell to nurseries. You will get a good income and once you were successful expand your business. It’s possible to manufacture chemical-based fertilizers and it depends on your own wish. Automobile Industry is one of the rapidly growing industries in India. This industry helps to create thousands of small business around to many small and medium-sized enterprises. If you have a skill and a very good finance, then consider starting your own small automobile parts manufacturing business. There are some high tech machines needed to be purchased for starting this business and also a franchise offer from OEM manufacturer. It requires an investment of Rs. 5 Lakhs to Rs. 10 Lakhs depending on the automobile parts that are highly required on daily basis. This business is similar to the automobile manufacturing business, but this is entirely a different section of the same industry. Vehicle accessories are so-called such as seat covers for cars and bikes, steering wheel covers, air freshener, front and rear bumpers made of aluminum and/or steel etc. There is a large business available in this market and consider starting a small scale manufacturing business of various above-said vehicle accessories. Build your own car spa in your area so that vehicle can reach you directly and you will get a decent volume of business. Every home and office is just an empty space without furniture’s and therefore it is considered as the essential part of every part of every home and office. Furniture includes tables, chairs, dining table, computer table, sofa, doors, windows, cots and wardrobes etc are an essential part. Thus, I recommend starting this small manufacturing business in your area with a minimum investment of Rs. 1 Lakh to Rs. 5 lakhs. The investment is therefore required to rent a small place to work, purchase of manufacturing equipment and wood. Another most important part of every home was the kitchen and pots, kettles, pans, cookers, mixer-grinder is the essential part of kitchen utensils. These things are not only used in home kitchens but also used everywhere in hotels, restaurants, highway inn etc. 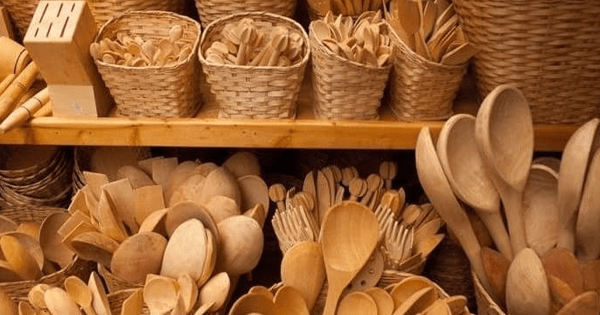 These utensils are used to prepare food and this leads to the constant demand for new utensils every day. Every household will buy a new set of these kitchen essentials at some frequent interval. Hence, starting a business in manufacturing these products will be the best idea. You can install your own stall by renting a space in the commercial marketplace or tie up with other merchants and sell them for a profitable price. You can even think to start a small home-based cloth stitching business for schools, colleges, and industries. Housewives and stay at home moms can better utilize their time by taking tailoring jobs – A nice business ideas for housewives. Many schools, especially in TamilNadu, has made a habit of ordering bulk school uniforms to a single merchant and that’s why I am saying this as a good business if you manage to get at least one or two school orders. Even, employees of some companies are asked to wear uniforms at their work inside the company premises, so there is always a high demand for this business. The required capital investment will be Rs. 2 Lakhs because you need to purchase some stitching machines and raw materials such as clothes. Appalam as we call in Tamil and in English it is called as Papad is a very good home based small-scale manufacturing business idea. Papad is a primary food item on every occasion, functions, celebrations, and party in Tamilnadu. Preparing them is a very simple process and it does not require much manpower. You can easily find a market in your area with some small marketing efforts. Manufacturing Papads require basic ingredients such as wheat flour, spices, oil etc. Homemade Papads has a potential market and small scale department stores are eager to buy from these home manufacturers and they sell for some high prices. Whatever, you will earn a good volume of income every day if you start this lucrative home-based business with a small investment. India is the world’s largest producer of milk in the current decade. In southern states of India, especially in TamilNadu, 5 out of 10 homes breed cattle farms such as cows, goats, buffaloes. Ghee, Butter, Paneer are the by-products of the milk and it has a good volume of business in the domestic market. There are many MNC manufacturing companies competing on a large scale in this sector but most of them were using chemicals and fillers. There is a large volume of consumers for cottage butter also called as home-based butter, Ghee. So starting a small manufacturing business to produce butter, ghee is a very good idea. India is a Holy land and most people are highly devoted to God, they have built a lot of temples and place the god and goddess to worship. Incense sticks aka Agarbatti’s is an essential thing and occupy the most prominent place during worshipping the God/goddess. There is a big market in India for Holy items especially Agarbatti’s, camphor, kumkum etc. If you planned to start a small incense stick manufacturing business, then there is a huge success waiting for you. There is no need to invest huge money in this business, therefore it requires a minimum of Rs. 25,000 to purchase some ingredients such as Bamboo stick and essential oils of various fragrance available on the market. Coat the oils on the stick and let it dry for 24 hours and your Agarbatti stick is ready. You can either use machines for a bulk production. Then pack in small numbers and label your brand name to sell on the market. The summer season was about to begin and the people while traveling or working, it’s usually they drink soda or any flavored drink when they get tired. You can easily prepare such drinks at your home and put a stall in your area. This is a very good business and the best alternative for artificially flavored soft drinks. You can sell each 300ml. Cup of soda for a price of Rs.10 which is considered profitable if you manufacture at your home by putting own efforts. You can prepare for various flavors such as lemon, orange, apple, and few other variants with a decent income. Chapati or Parota or roti which is made from whole wheat is a primary diet for most of the people in the southern states of India. Especially, people in developing cities don’t find time to make breakfast or dinner and they mostly opt for store-bought ones. It’s being a recently growing trend in selling pre-packed readymade chapatti/parota. They are coming pre-packed that are available in the departmental stores that let you make instant chapatti/parota with no time. 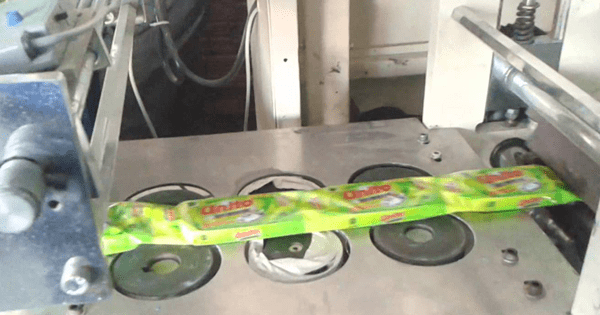 There are a number of growing small scale manufacturers who are involved in manufacturing these types of pre-packed chapati’s. Normally they are half-cooked and cooled at room temperature. Starting this small scale manufacturing business from home requires a small investment of Rs. 2 Lakhs which is used to purchase the machine and other ingredients. The quality fruit pulp is highly required in the food industry such as star hotels, ice cream manufacturers, sweet makers etc. The demand for fruit sauce including tomato sauce, chilly sauce, jam-jelly is always stable throughout the year by the various food industry. But there is not enough refrigerated trucks, warehouses available to store and supply on demand. Hence I recommend you start this small business in your home backyard. Different fruit pulps such as mango, tomato are used to make ice-cream flavors, fruit jam, squashes, juices etc. It requires a capital investment of Rs. 10 Lakhs to purchase Automatic Fruit Pulper machine and raw fruits, refrigeration system etc. Generally, frozen fruits are highly nutrient in value and have a vast global market. There are many manufacturers across the world were involved in this business. These fruits are used to prepare Yoghurt, Fruit Smoothies, Jam, Bakery products, and desserts. To manufacture these products, frozen fruits are highly required in a large quantity. But the suppliers are very few because of the unavailability of awareness. Plan to start a small unit to process dry and frozen fruits which are having a large market and you can start with a minimum investment in your home backyard. Women are highly fond of wearing fashion jewelry and costumes. They use to match these accessories to suit their dressings. There are a lot of online shopping sites to sell custom-made costumes and fashion jewelry at a very affordable price. Housewives are highly creative by nature and with a little knowledge, they can make their own custom homemade jewels and costumes. Why don’t you start manufacturing in a few high volumes to sell in the market and make some money out of it? You can start your own personal blog and showcase your products for direct selling or you can sell through these online shopping sites. In departmental stores, there is a separate section especially showcase disposable plates, cups for sale. These items are used to serve foods in parties, functions, and occasions. In the olden days, people were served food using banana leaves. Later the trend changed to offer ceramic made plates, cups, spoons etc. Currently, disposable food-grade plastic made plates, cups, spoons, knives are widely used in all the parties, functions and occasions. They are highly inexpensive and disposable consumes larger quantity thus opened its doors to a large number of manufacturers. You too can open a small scale manufacturing business to produce these kinds of products at your home. There are small companies who offer machines to interested people and supply raw materials. Finally, they purchase the finished products and pay them. With the increase in the number of new restaurants, hotels, and households creates a large demand for these plastic/rubber made carpets, table clothes, and floor mats. These things are easy to wash and maintain, and disposable after a certain period of time. A mere wipe with soapy water is well sufficient to clean. Plastic/rubber carpets are coming with various attractive designs which are used to decorate your places. If you don’t like, you can easily change with a new one. With a small investment of Rs. 2 Lakhs required to purchase manufacturing machines, chemicals, and other raw materials, is all enough to start this small-scale business. There is always a name for the construction industry with its constant boom and growth in several industries, domestic purpose etc. This includes construction of the individual home, villas, plots of large buildings for the use of commercial purpose such as malls, industrial units, schools, colleges etc. Hence there is always a demand for supplying concrete blocks and bricks to the building contractors on a large scale. Since the demand is so high, you can set up a small scale manufacturing business of concrete blocks and bricks. There is a big business behind this scenario and returns are highly assured and guaranteed. Coimbatore is called the Manchester of South India and Thiruppur is the textile city of southern India. There are large know manufacturers of quality bedspreads and blankets in these locations. 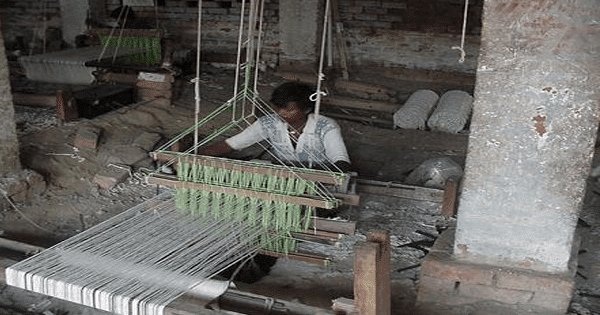 There is a demand for traditional bed sheets, wool blankets everywhere in India. Manufacturing these kinds of bedroom essentials is one of the best small business ideas. 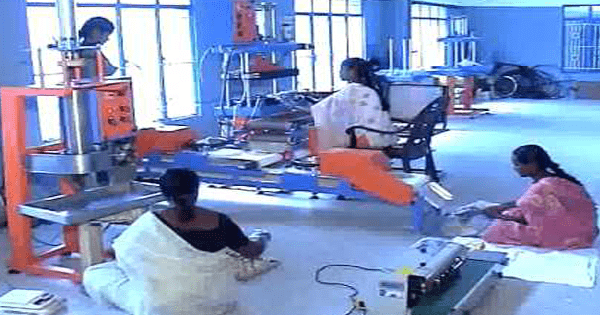 Setting up of this unit needs a quite large land to install handloom or motorized automatic looms with little manpower. The cost of manufacturing is inexpensive but you can sell the product for the decent money. The government also avail a lot of benefits to small-scale textile manufacturers such as offering loans at lower interest. Establishing new business is the driving force of the economy of every nation and most country governments are supporting these kinds of small-scale manufacturers. A country is said to be growing if it has a constant industrialization growth and thus it depends on creating an active manufacturing sector. There are lots of online jobs available from home and many people were succeeding in the IT industry also. The opportunities are everywhere, if we have a true desire to find one genuine job, you can achieve success. 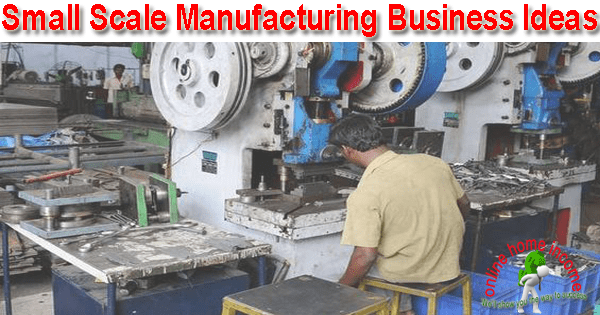 It is possible to scale up your business any time if it runs successfully and surely you will get confidence on your full-time small scale manufacturing business. It is the best alternative for the day job and also an option of self-employment. Do you have any more ideas to share with me? Write down them in the comments section below. Job Resume Builder: How to create a best professional resume?